Neal Kalis is a highly experienced, dedicated and a solution oriented attorney who is recognized for his multi-disciplined transactional practice, which encompasses corporate, probate, real estate, land use and zoning law. Mr. Kalis is often called upon to handle the most complex of real estate transactions. He represented a seller in Fort Lauderdale throughout a consummated $80,000,000 beachfront hotel transaction which closed in 2002. He also served as the lead land use attorney in obtaining the approval for a 28 story condominium on the previous and historic Lauderdale Beachfront Hotel Property. Mr Kalis' clients also call on him to work with government officials and agencies, banks, property owners and the other critical links necessary to effectuate a solution to a client’s problem. Mr. Kalis was one of the organizers and served as a director and general legal counsel for a local community bank from its conception in 1986 thru its merger to a larger financial institution in 2004. The personal relationships Neal has developed in Broward County and throughout Florida over the last three decades as an active member in the legal, civic, philanthropic and government sectors of our communities have consistently proven to be invaluable in helping him to achieve the best possible outcomes for his clients. His professional and business experience includes chartering, serving on the Board of and as attorney for a community bank, owning and developing land for residential and commercial projects as well as continued ownership of commercial rental properties. 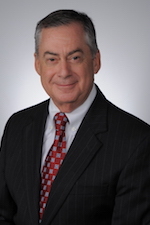 His community involvements include: He currently serves as a Member and Former President of the Rotary Club of Weston, the Davie/Cooper City Chamber of Commerce (President in 1984-1985), Fort Lauderdale Chamber of Commerce, Tower Forum, and Riverwalk Fort Lauderdale, he is a Trustee of the Old Davie School Foundation and is Chair of the Broward County Education Facilities Authority. He is a past member/chair of the Hollywood Rotary Club (President from 1984-1985) and past chair/member of the Davie Community Redevelopment Agency (CRA) (Chairman 1996-2001 and Vice Chairman both from 1994-1996 and 2003-2012). Mr. Kalis has also served as a member, officer and director of a number of homeowners and condominium associations. Old Davie School Foundation, Inc.